SBI Css templates are a perfect match for Easy Blogs. 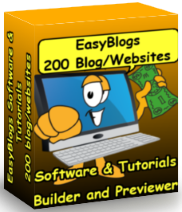 Get up to 100 blog websites. Stylesheets and templates tutorial. The SBI Css templates assume that you have at least some basic knowledge of HTML. Before you begin, though, take a few minutes to check out the CSS-related guidance, recommendations and tips located here : SBI Css Template help. It's a fast way to get up to speed and/or refresh your memory. The SBI Css templates use server side include files to further enhance your control. Include files are like separate sub-routines in a program. Instead of putting repetitive code chunks into your pages you put in calls to the sub-routine or include files. For example on this page I use include files to define the left and right columns as well as the header and footer sections. The style sheet is the essence of simplicity. All the parameters for the look and feel of the template are controlled by the style sheet. To change the layout graphics or backgrounds you simply modify the style sheet. Even size and location of the columns are controlled by the style sheet. 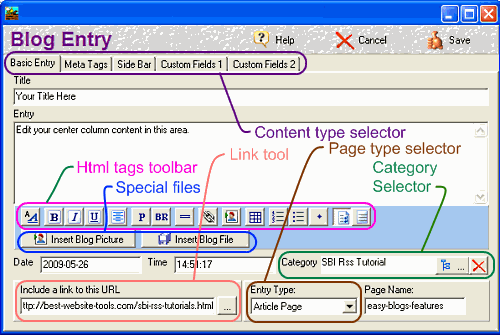 Easy Blogs divides the SBI Css templates into 3 main sections 'Start of Page' 'Content' and 'End of Page'. The template editor controls the layout. The Blog Entry editor is where you input your content. The style.css file only controls the look and feel of the SBI Css templates. If you choose to add or subtract something from the layout you would still need to modify every page. This is not true with Easy Blogs (EB). With EB you modify your (html) template and click the "generate pages" button. This action updates every page automatically. Key benefits you get from using Easy Blogs include making site wide changes to the template without having to update every single page manually. With EB you locate the position of your layout change, then insert or delete your code. By using include files you can get extra control. Looking to expand your web site, now or in the future? 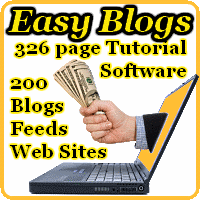 With EB you get 100 rss feeds/blogs/web sites. This means you can create up to 100 new or additional blog/websites. For instance: lets say your niche topic is very wide and you desire to sub-divide it into several self contained sections. Lets also assume that you want to keep all these sections under one domain name. There are 2 ways to do this in Easy Blogs. First you could use the category function and / or second you could create a whole new mini-website. The best part of SBI and Easy Blogs is that one template fits all. No matter which SBI template you choose the only difference is the style sheet. In other words all the new SBI templates use the same html. If you wanted to completely change your look and feel all you need to do is change the style.css file. 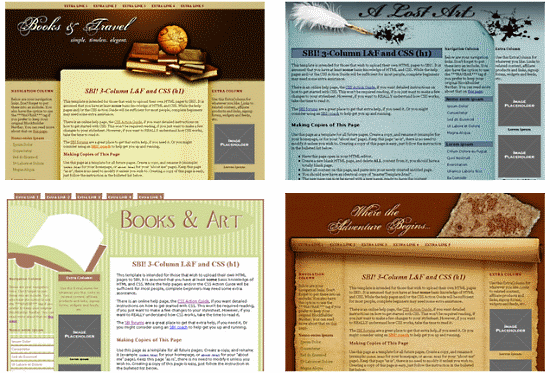 Sidebars are part of the Easy Blogs system.The default style is the class "CallOutBox." You can easily change the style in your style.css file.